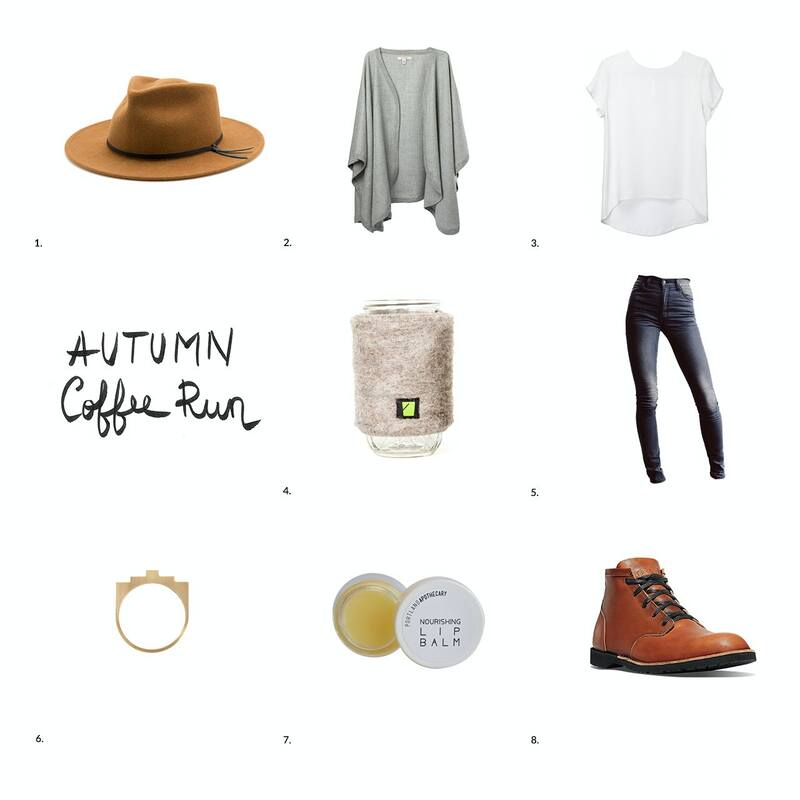 This is my ideal coffee (or tea) run look: Cute high-waisted jeans, a white top, a cozy cape, my new favorite pair of men's boots (always check out the men's section), a statement bangle, a hat - just because - my trusted balm to protect my lips from the fall winds and a cup with its matching cozy for a zero waste coffee run! The products I present in my looks and selections come from either local, sustainable, ethical brands, or from brands whose values I share. Feel free to send me other product ideas or recommend brands to me, especially ones using salvaged and/or organic products. The more info, the better. Thank you!